Discover New York at Night in this new and exciting tour! Join the road less travelled into the exciting New York nightlife. 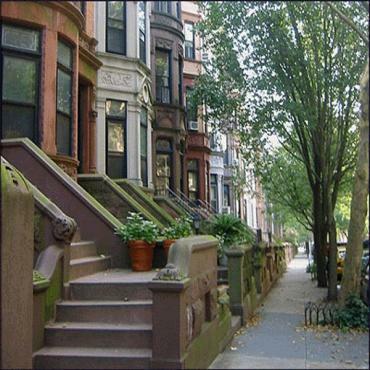 Discover charming Brooklyn Heights nestled in ivy-covered brownstones and tree lined streets, which was home to writers Norman Mailer, Arhtur Miller and Tenessee Williams. Learn about the history of pizza from Italy to Brooklyn. Take a walk in trendy Park Slope known for its vibrant cultural community and fashionable restaurants. Back in Mahattan enjoy a bite at the famous restaurant 'Katz Deli' and take a walking tour of the Lower East Side as the sun goes down, the streets light up on the LES with a sprinkling of poetry readings, local bands, cozy lounged, bars and restaurants. Tour runs on Saturdays (Except Independance Day). Tour starts at 6.00pm and finishes at 11.00pm. This tour does not operate between 1 Jan - 31 Mar 2010.